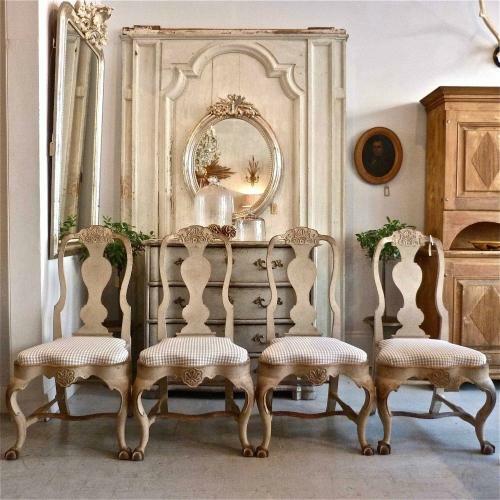 Set of four beautiful 19th century Swedish Rococo style dining chairs, re-upholstered in a wonderful Romo check fabric. These elegant and curvaceous chairs look fantastic partnered with both antique and contemporary dining tables. Circa 1880.